The knockout is the ultimate achievement in a combat sport. One strike can end or change the course of a fight, and that will most certainly be forever on the record of the victor…and the vanquished. On our countdown to UFC Sao Paulo, we’ll revisit moments that highlighted previous events in the city in a five-piece retrospective. In this final chapter, let’s look at the top five knockouts. Only a few remember the fact that the first ever UFC card in Sao Paulo - and in Brazil - was in 1998, an event in which two top Brazilian prospects clashed: Vitor Belfort and Wanderlei Silva. Both would eventually have brilliant careers in the sport, but on that night, it was all Belfort, who finished the fight with a crushing knockout like many others we would see from him in the future. Fifteen years later, Vitor was once again the big star of the second Fight Night in Sao Paulo, when he faced the current UFC middleweight champion Michael Bisping and ran through “The Count” with a head kick followed by an avalanche of punches. Twenty seconds. That’s all it took for veteran kickboxer Marcos Rogerio De Lima to show the power of his striking against his fellow TUF Brazil 3 contestant “Rick Monstro” when both made their UFC debut in 2014. 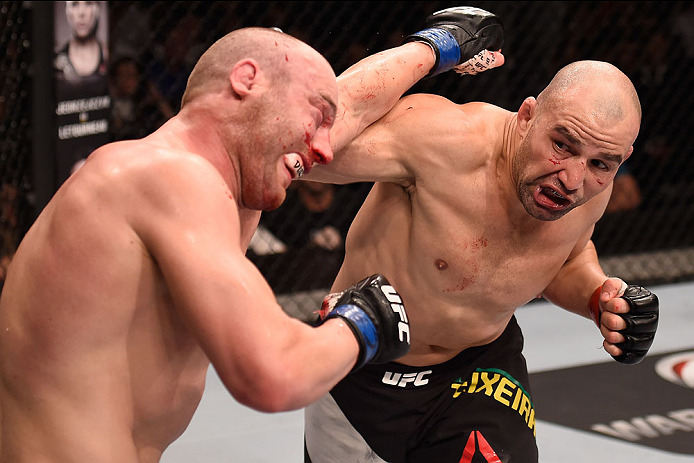 Either standing or on the ground, Glover Teixeira always enters the Octagon looking to finish his fights as quickly as he can. In November 2015, he punished Patrick Cummins and left his opponent knocked out while still standing. 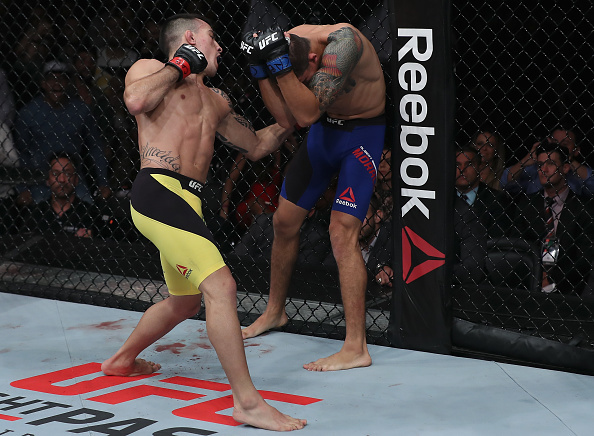 It isn’t hard to explain why 17 out of Thomas Almeida’s 22 career wins have come by knockout. The Sao Paulo native has two of the most powerful hands in the bantamweight division and he proved it the last time the Octagon went to his hometown, when he made Albert Morales pay for his trash talking before the bout, knocking him out on fight night.